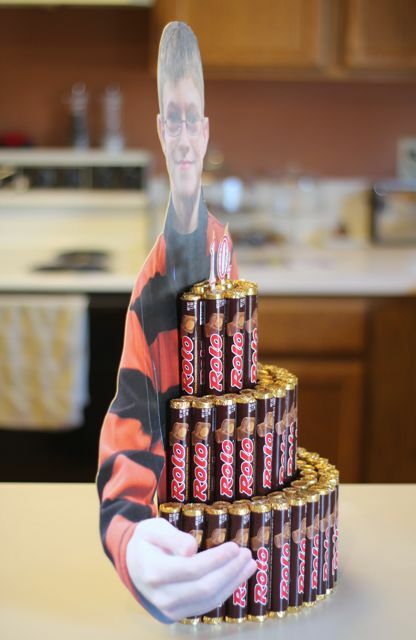 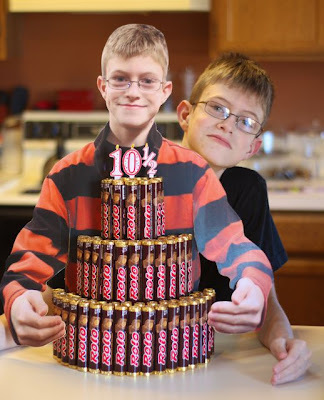 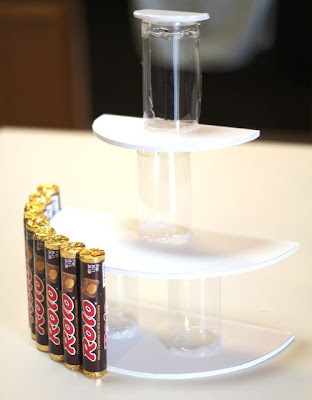 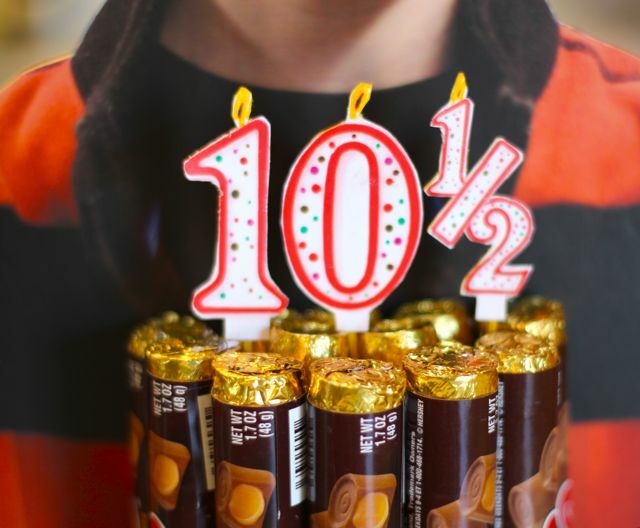 Since he's my candy-lovin'-kid, I decided to create a 3-tiered, Rolo cake. 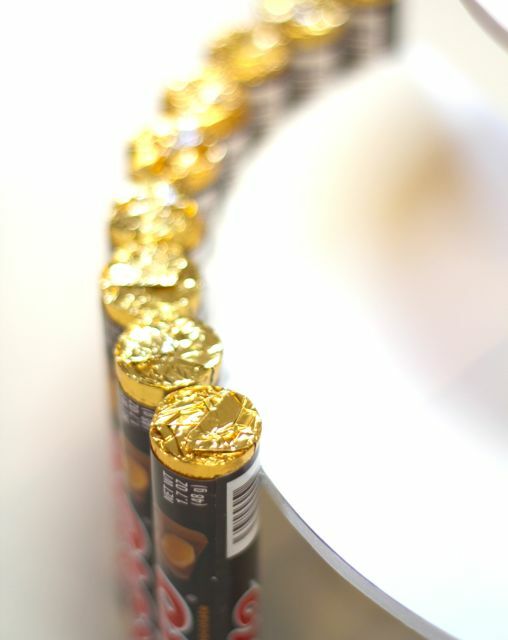 (But only half.) 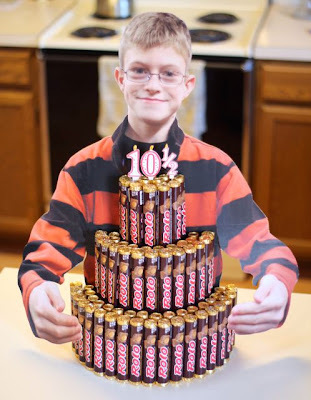 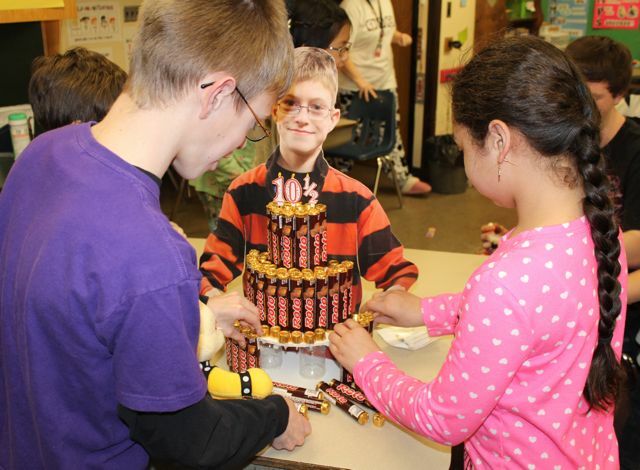 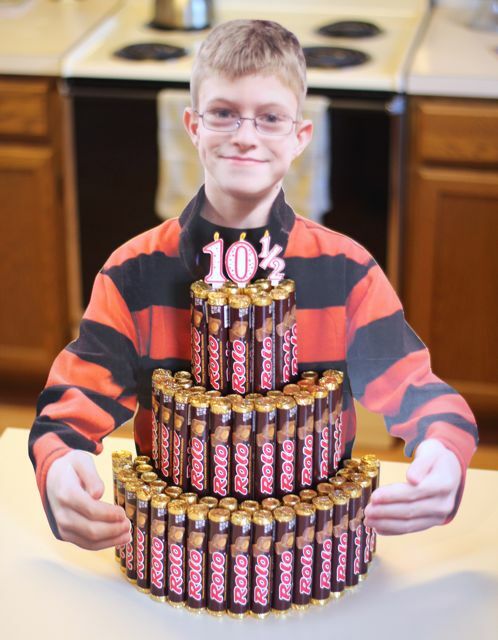 I added a big poster cutout of Gus with his arms around the cake, and made a "10 1/2" paper candle for the top. Here's how I constructed it... just some foam core, plastic tubes and a little hot glue. 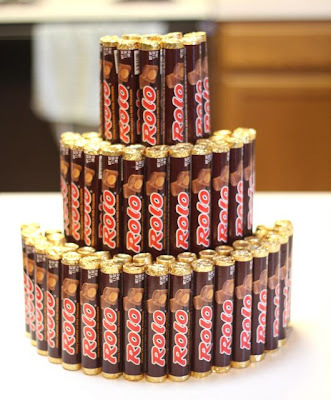 Oh, and 39 roles of Rolos.